One of the oldest fossil reefs in the world. Hike to the top of Texas. Guadalupe Mountains National Park is located on the New Mexico border about 110 miles east of El Paso and 50 miles southwest of Carlsbad. The park contains contains one of the oldest fossil reefs in the world – a small inland ocean covered West Texas and Northern Mexico some 250 million years ago. Because of the ocean, there are beautiful gypsum sand dunes on the west side of the park near Dell City. It is known for its extensive hiking, backpacking and birding opportunities. The park has few permanent structures and little backcountry developments other than the hiking trails. 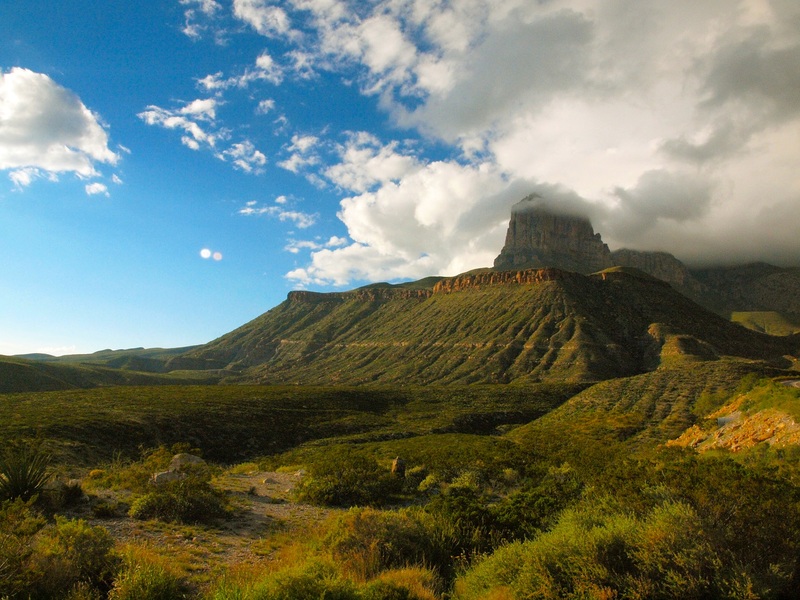 Although the focal point is the 40 mile long Guadalupe range, the park contains lots of bird, wildlife, canyons, desert scrub and forest (in the mountains). The blossoms are abundant in the spring, and the changing leaves are best in late October to mid-November when the Bigtooth Maples come alive in McKittrick Canyon. There is no gasoline available in the park and cell phone coverage is unreliable. The park is about 40 miles southwest of Carlsbad Caverns.